To be honest I am not really sure what I think of Liyana- and that is a good thing because it means I can keep thinking about it. The film a mix of documentary and “animated story” is a one of a kind film and one of the most special cinematic experiences I’ve had all year. When the film was done I was trying to reach the PR people to see if the filmmakers had sent the film to certain other film festivals and GKids. I needed to know that the film was going to find it’s audience. As I said at the start the film is a two part one. 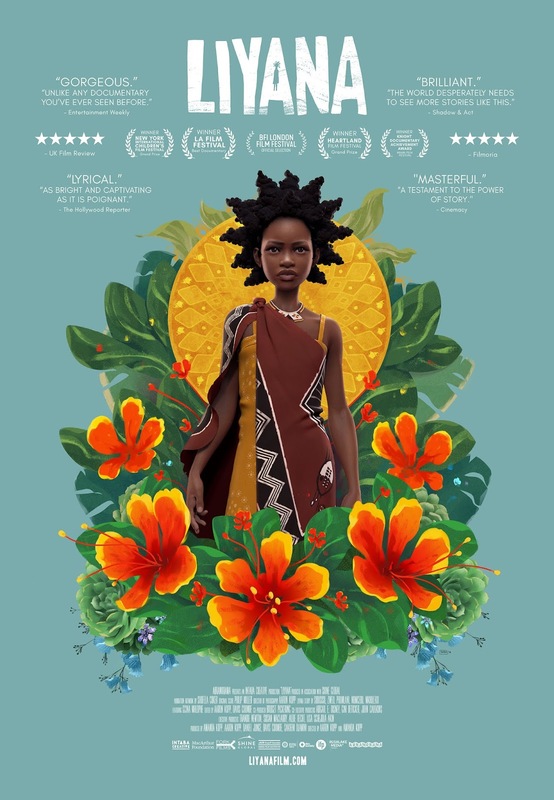 The documentary portion of the film follows a group of kids in Swaziland who come together to create a story with the help of Gcina Mhlophe . We watch as they go through their lives and create the story. The animated portion of the film story is the story the kids come up with. The story is about a young girl named Liyana who has to go off and rescue her two younger brothers who have been kidnapped and the grand adventure it becomes. It is a story based on their lives and they tell it with absolute perfection. To be honest I had no idea what this film was. I was simply asked to review the film by the PR person who mentioned animation and I simply said yes. I had no idea that what I was going to be seeing a film that was going to make stare at the screen in wide eyed wonder. An absolute must see- one of the great finds of 2017 and probably one of the best films as well. Certainly it is one of the best films on the art of stories and storytelling I've ever run across.